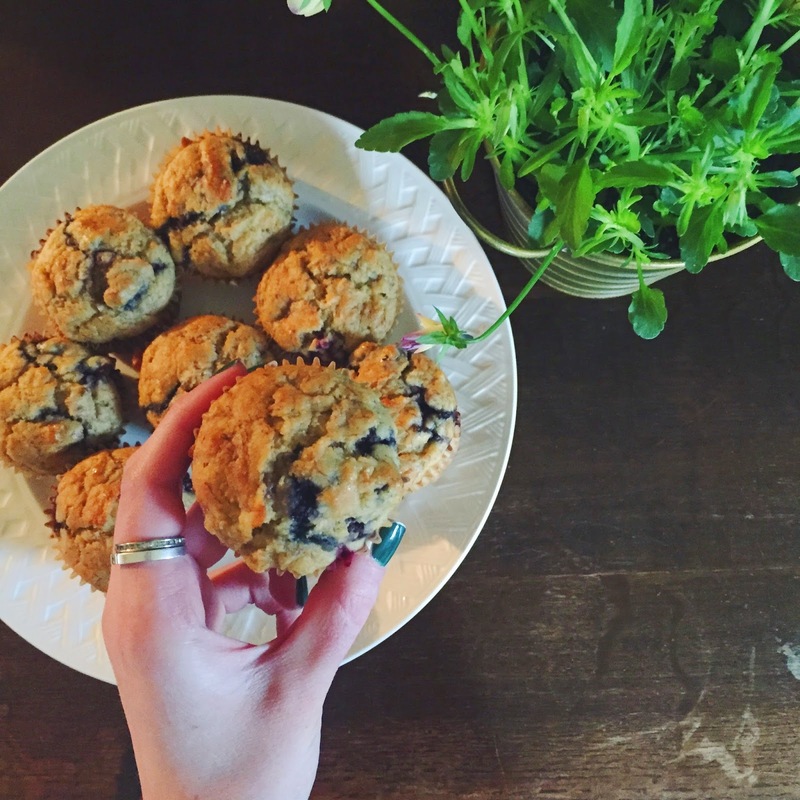 I absolutely love starting my morning with a homemade blueberry muffin (who doesn't). 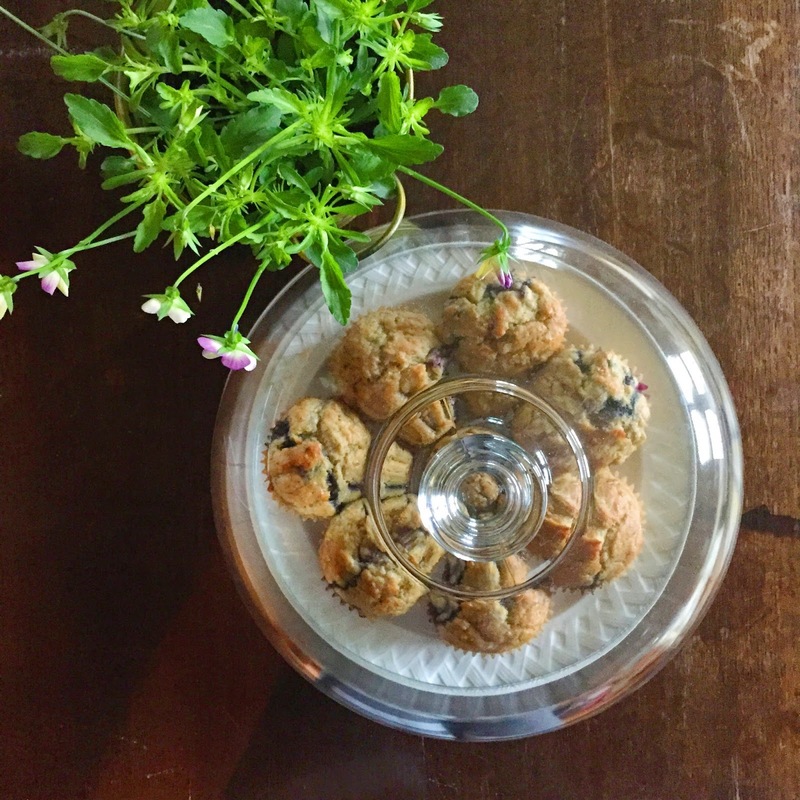 With overripe bananas sitting in my kitchen I decided to try a twist on the classic blueberry muffin and make these Blueberry-Banana Cornmeal Muffins. 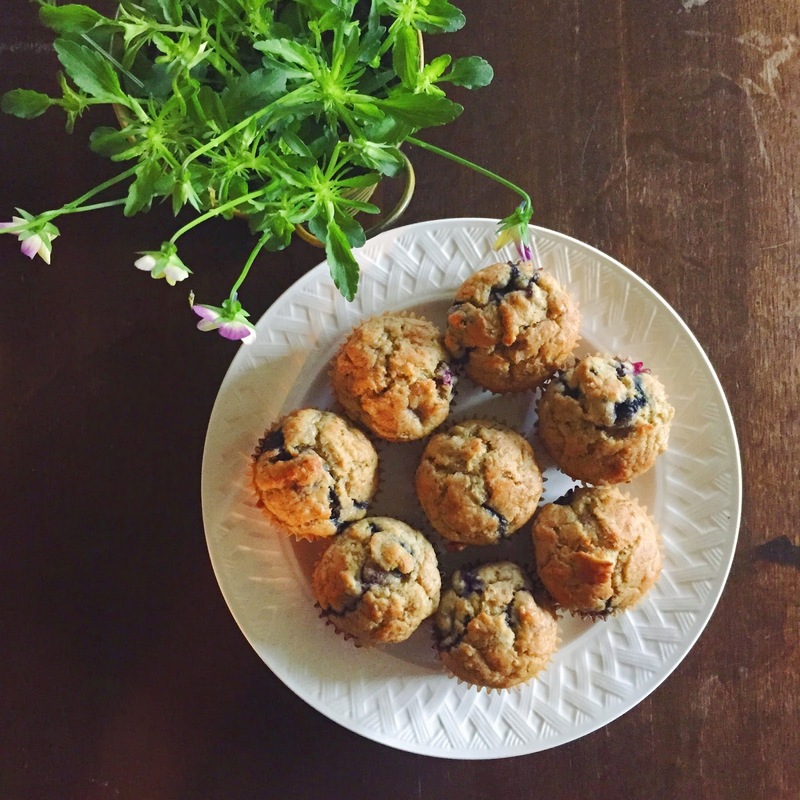 The cornmeal base pairs perfectly with the sweet bananas and tart blueberries for a delicious muffin. Preheat oven to 375 degrees and line a standard muffin tin with paper liners. In a medium bowl whisk together the cornmeal, baking powder, baking soda, salt, 1 cup of flour and 1/4 teaspoon cinnamon. In a large bowl stir together the mashed bananas, buttermilk, honey, lemon juice, egg and vanilla. Fold the dry mixture into the banana mixture just until combined (don't over mix). Combine the blueberries with the remaining 2 teaspoons of flour and carefully fold the blueberries into the batter. Spoon the batter into prepared muffin tin and fill 3/4 to the top. 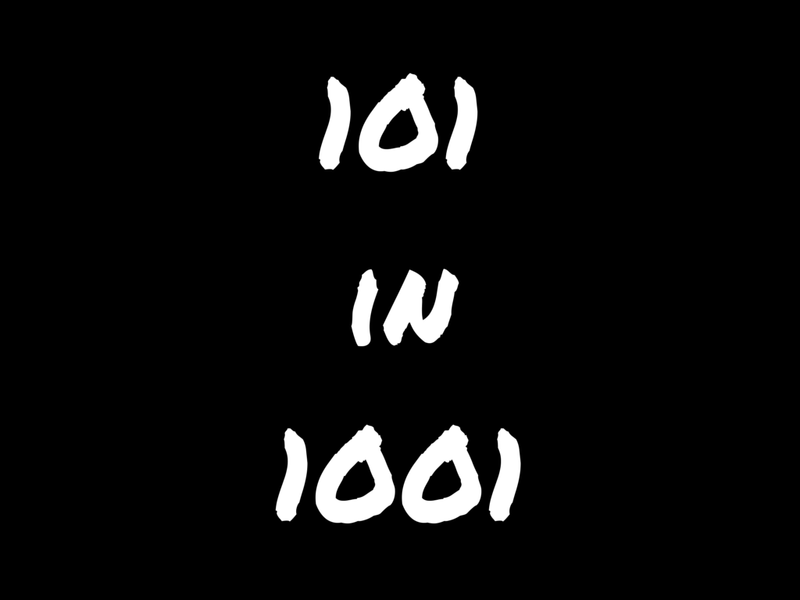 Bake for 30 minutes or until a toothpick inserted into the center comes out clean. Let the muffins cool on a wire rack before serving.